If you want to be ever present in your customers mind fridge calendars printed by WA PRINTING in WA- is an excellent solution for you. Instead of giving your customers flyers and cards they are likely to throw out after a few days; giving them a product they can continue to use will ensure they keep your business details at hand throughout the year. 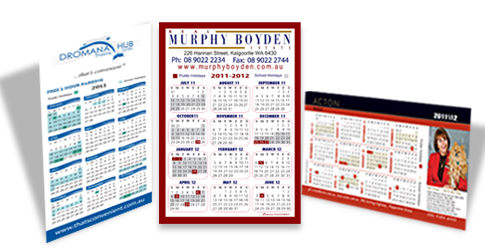 Promotional fridge calendars are one of the most effective, but inexpensive, forms of service and product promotion in Australia. 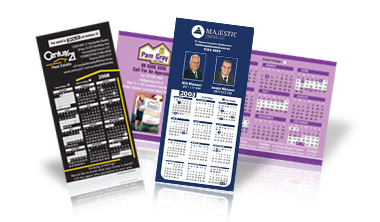 They are a great way to reinforce brand recognition and can be used to market your business long after the initial cost of printing the fridge calendar has been covered. Take them as special gifts for your clients and potential customers right now. Make them more impressive with logos and attentive images for instant awareness. These fridge magnets are printed on thick 350gsm card board with a small magnet (25x25mm) backing making them a effective cost saving solution for all businesses. We always ensure the highest product quality at the lowest prices. For further information, contact our experienced service team.